This large insect created quite the stir when it came into the lights. It was collected on the greatest entomological expedition that I was ever a party to. This singular specimen is curated in the TAMUIC. Range: Mexico & Central America. Similar Species: There are nine species of Anaxita, all restricted to the Neotropics. Walker, F. 1855. Lepidoptera Heterocera. In: List of the Specimens of Lepidopterous Insects in the Collection of the British Museum, 3: 748. Watson, A. & D. T. Goodger. 1986. 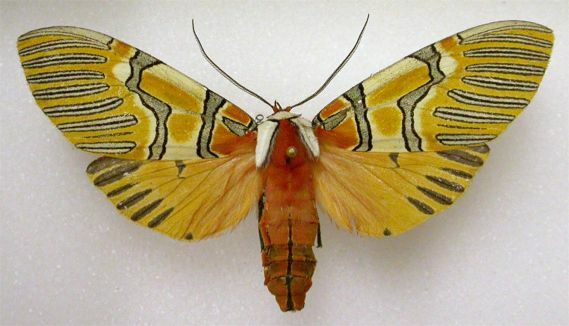 Catalogue of the Neotropical Tiger Moths. Occasional papers on Systematic Entomology of the British Museum (Natural History), 1: 1-71.